In response to my previous post 5 Online Jobs for Students in Nepali without Investment, I have got many emails in my inbox asking how to start an online job. Starting online jobs is easy but earning money from it is hard. I started my online work journey after completing my +2 level, as a part-time work. Because I was doing a full-time job on a company. It took me about 2 years to earn a good money from my online work. After working for about 4 years on a company I resigned from my job and started to give my full time on Online Work. Then, I started to learn the different ways to make money online. So, if you are interested in starting online work, then you are at the right place. Do you know that there are many works you can do online? I have mentioned some of the most popular online work on my previous post 5 Online Jobs for Student in Nepal. And, in this post, I will be mainly focusing on "HOW TO MANY MONEY FROM YOUTUBE". 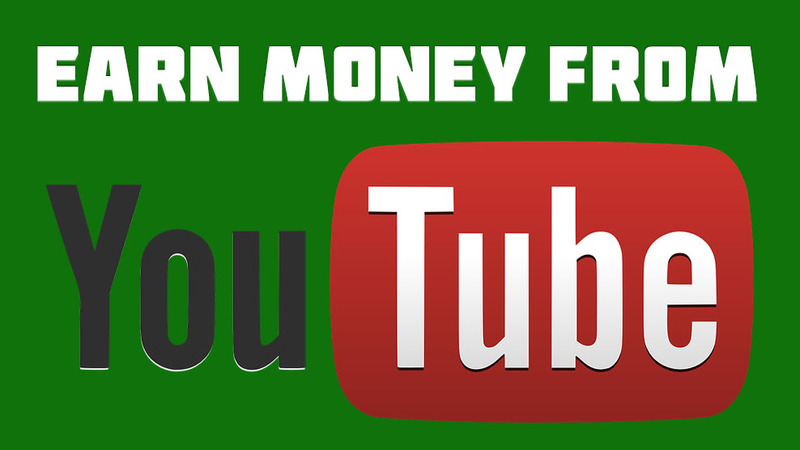 Yes, you are right, you can earn money from YOUTUBE and it's so easy that you will not believe it. YouTube is one of the most visited Website in the world, currently ranking No.2 in the world. It's owned by Google. So you don't need to worry about getting scammed. The Internet is full of scammers. There are many such websites in the internet, that make you believe that you can earn tons of money by doing a simple work, which is not possible. If you want to earn good money from online work, then you need to work hard. Do you know? In YouTube, you can upload videos and can earn money from it. But this doesn't mean that you can download others video and upload to your YouTube channel. This results in termination of your YouTube channel. So, I will be teaching you to create your own videos and make money from it. You don't need to have a video camera or other person involvement to create your videos. I will teach you to create professional videos with professional voices and provide you the unlimited contents to create videos. This is not the Make $100 in a day scheme, at first you need to work hard. I cannot guarantee you will earn $100 on the first day of working on this method but if you continuously work hard I can guarantee you can earn more than $100 per day. As I had already told above this is not the free method, I will be teaching this method to limited peoples because I don't want to ruin this method. One Day Training, Method (With No Copyright Issue), 3 Software Worth $300, Unlimited Content Ideas To Create Videos, How To Create Good-Looking YouTube Channel, How To Use YouTube Tools and Setting, YouTube Copyright & Community Guidelines, How To Monetize Videos, How To Receive Earned Money. So, if you want to learn the method then contact me with your full name and address. Then we will discuss further through email. Many people are sending me the email without reading this full article. This is the paid method. If you are not willing to invest some money, then don't bother to email me. You are just wasting both of your and mine time. I will be providing this method to the limited peoples. So, interested person can contact me using above contact form. And if you have some question regarding this training, then please use the below comment option. I will reply it ASAP. I get nothing from you. Isn't this > anil.ewahang123@gmail.com you email address. I did send the email.